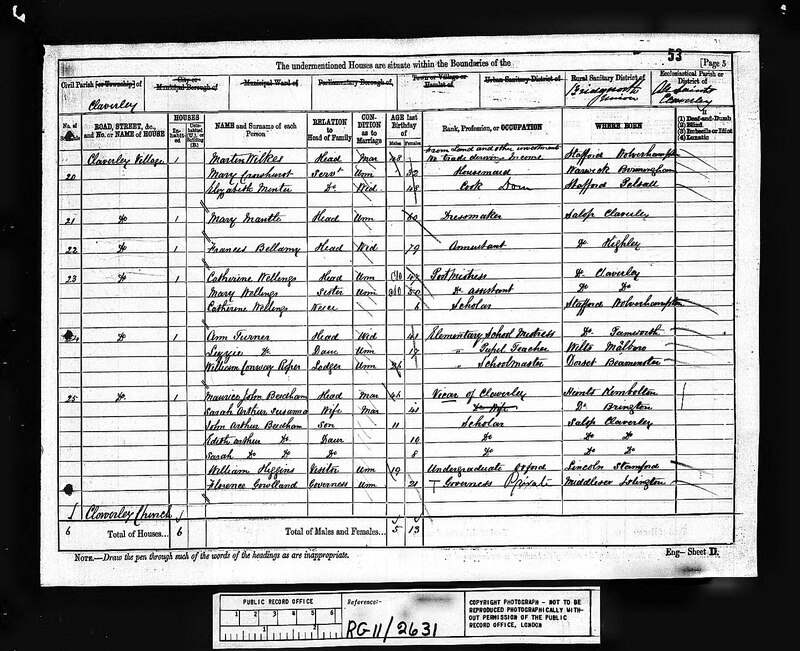 This page lists all the relevant entries of the censuses between 1881 and 1920, in chronological order, and thereafter in RG number, followed by page number, for UK entries, and by page details for Canada and USA. 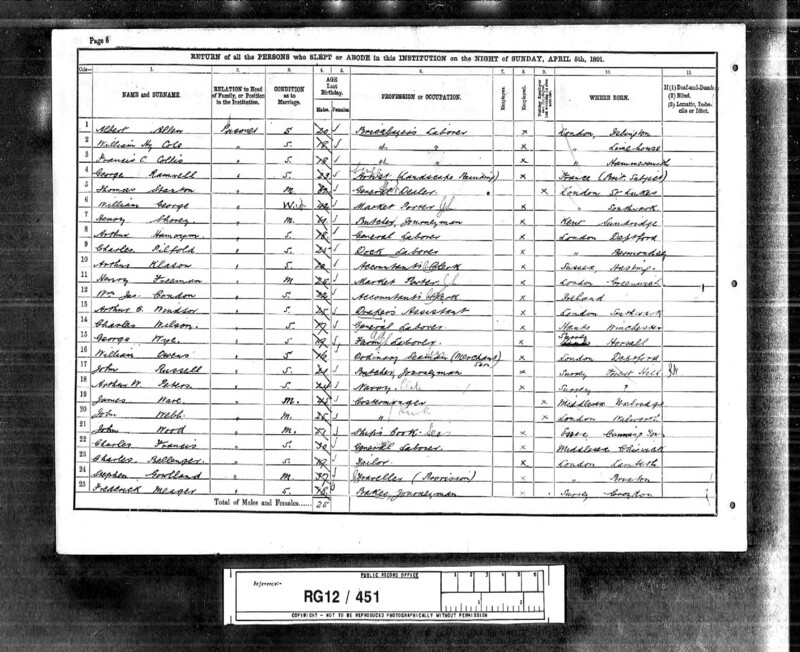 Brief identification of the person(s) is in the second "Name(s)" column; but full details are available in the fifth column, accessed by using the right arrow. 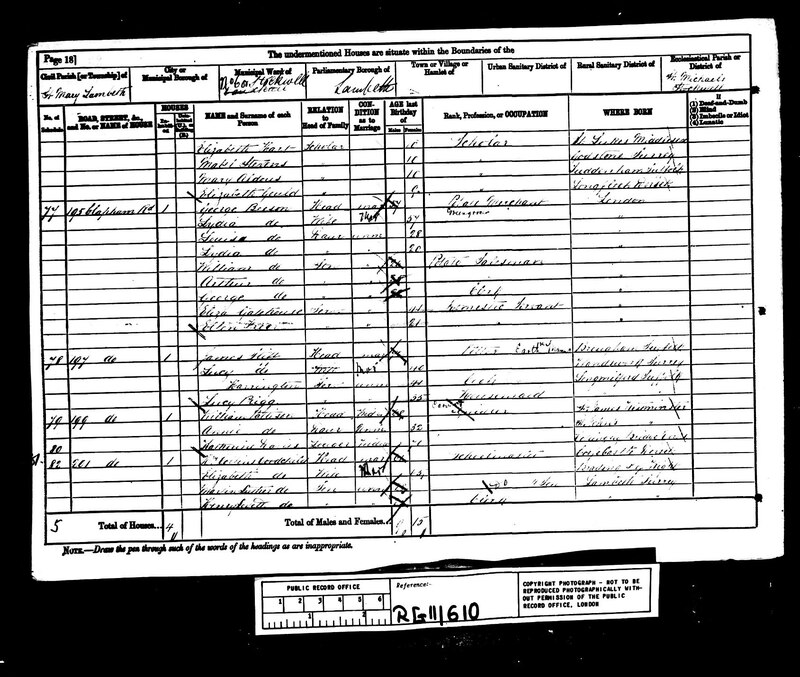 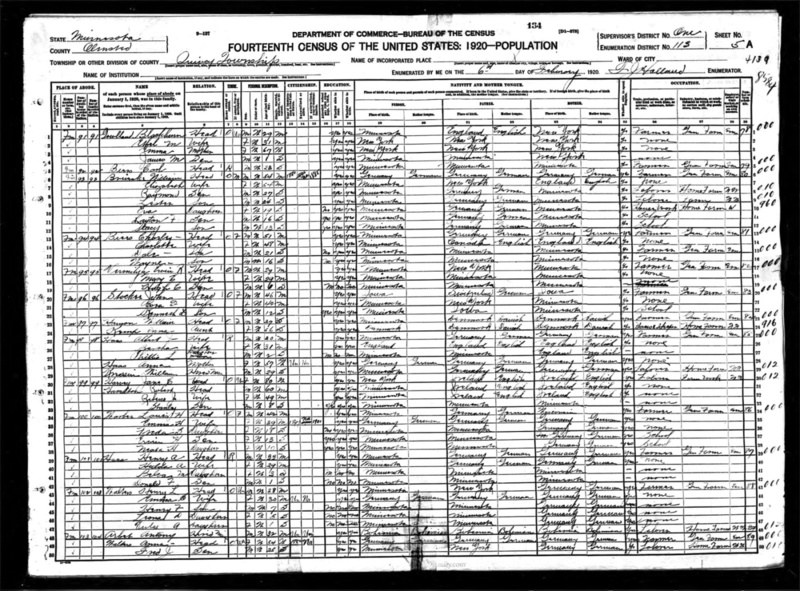 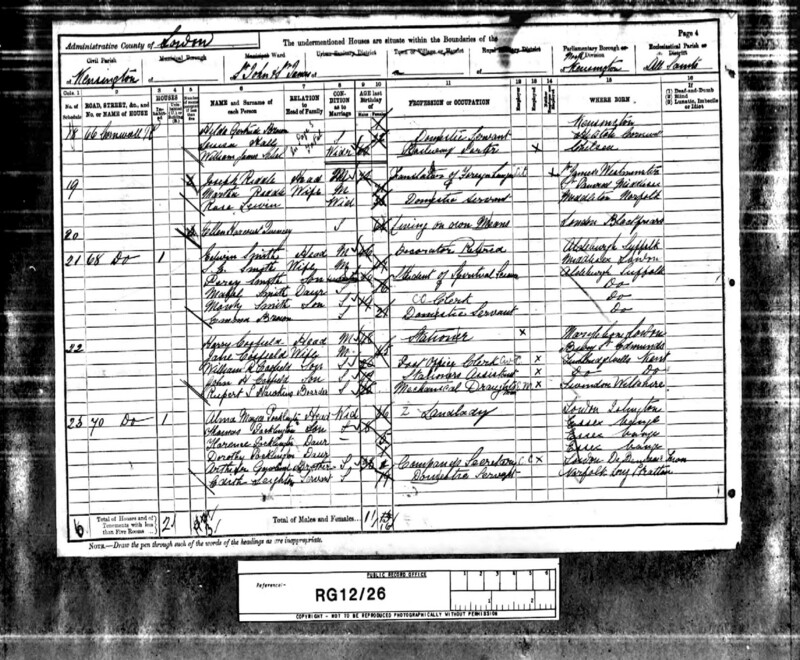 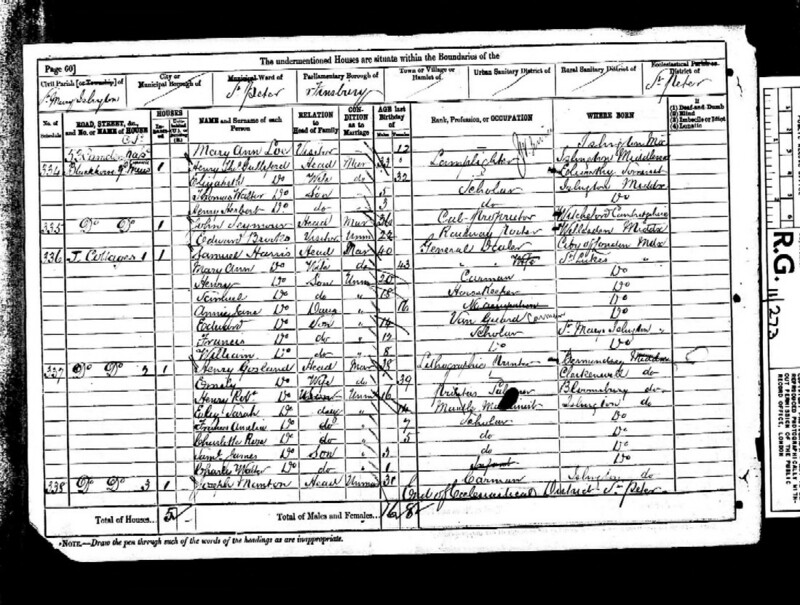 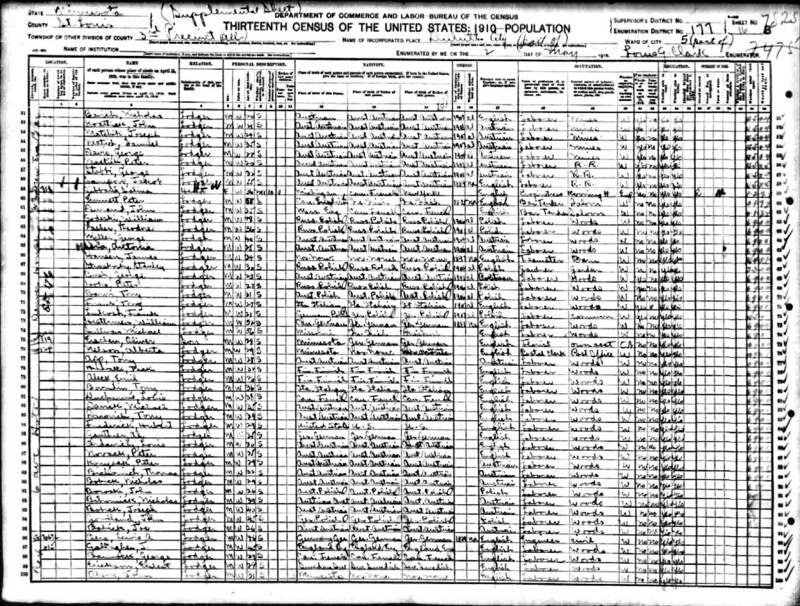 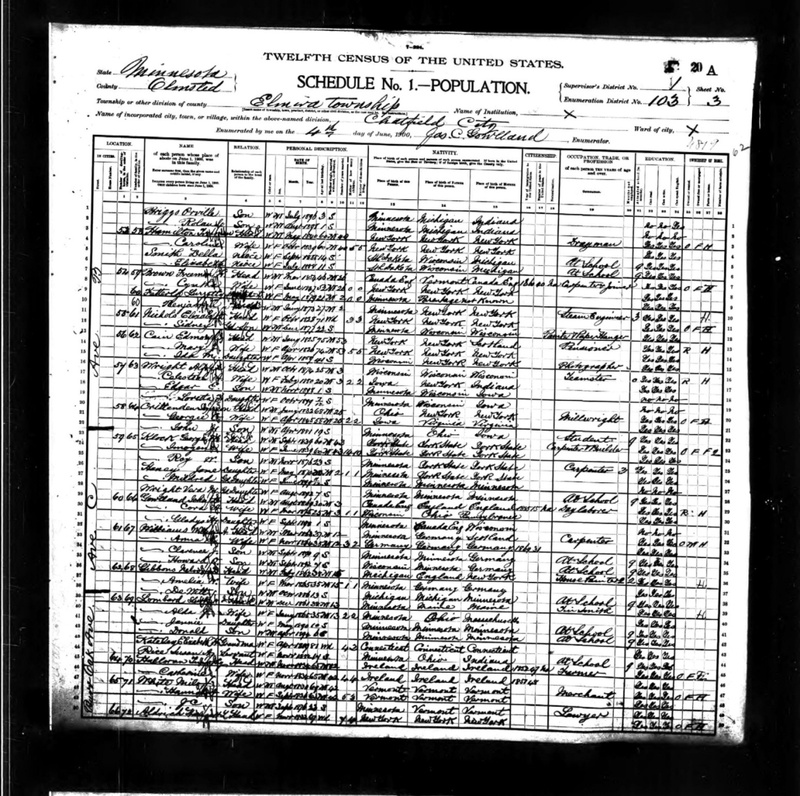 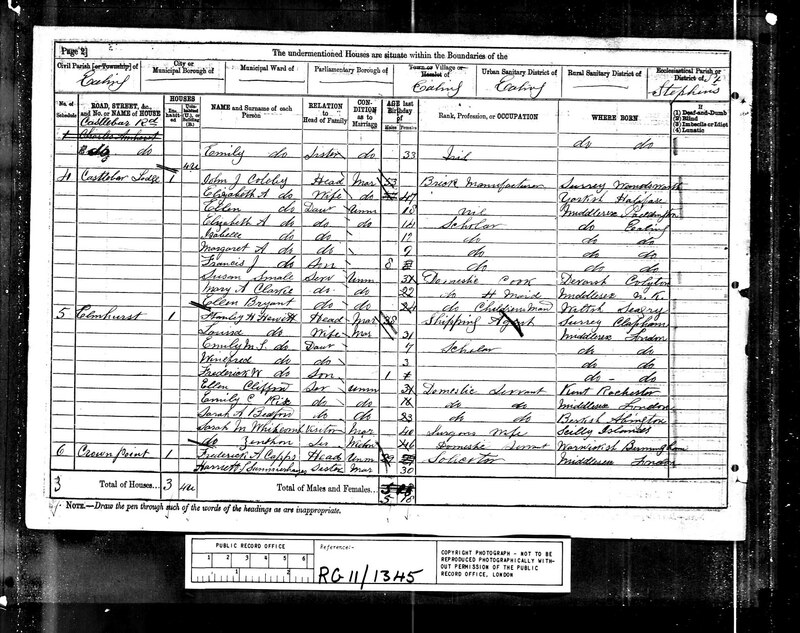 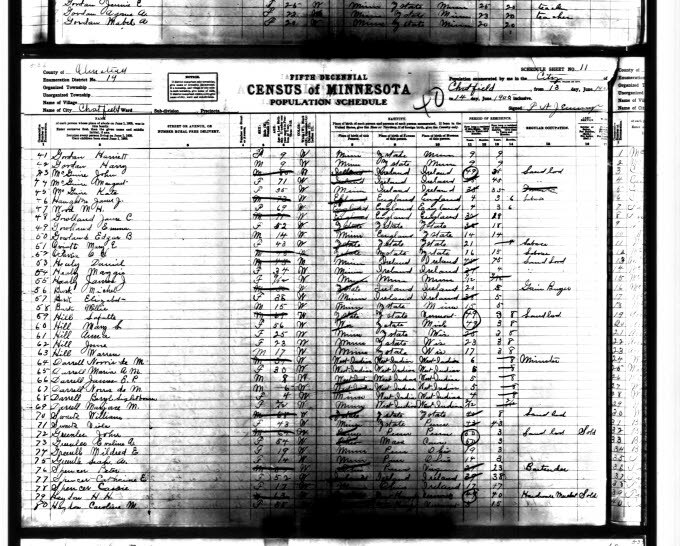 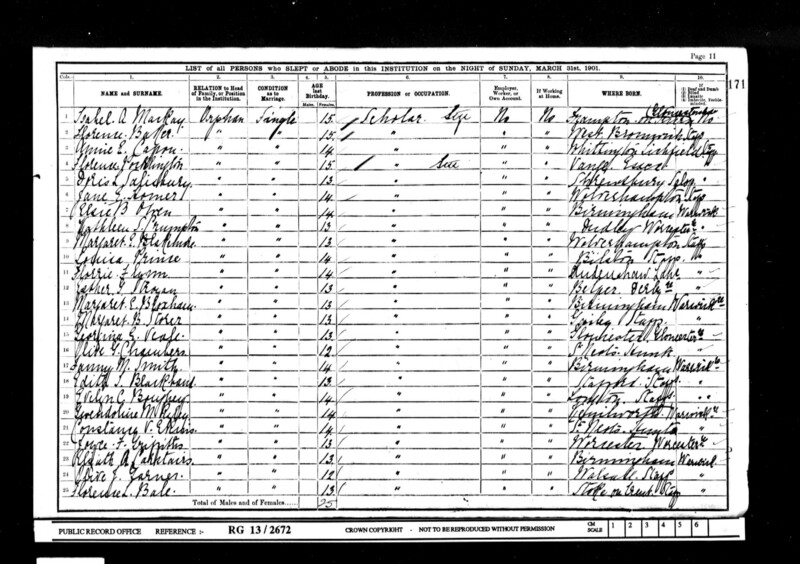 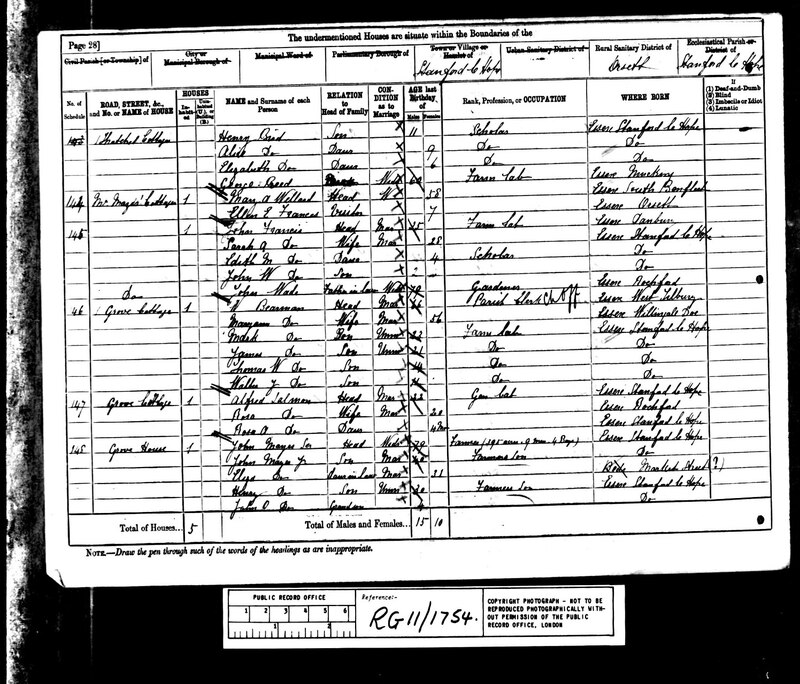 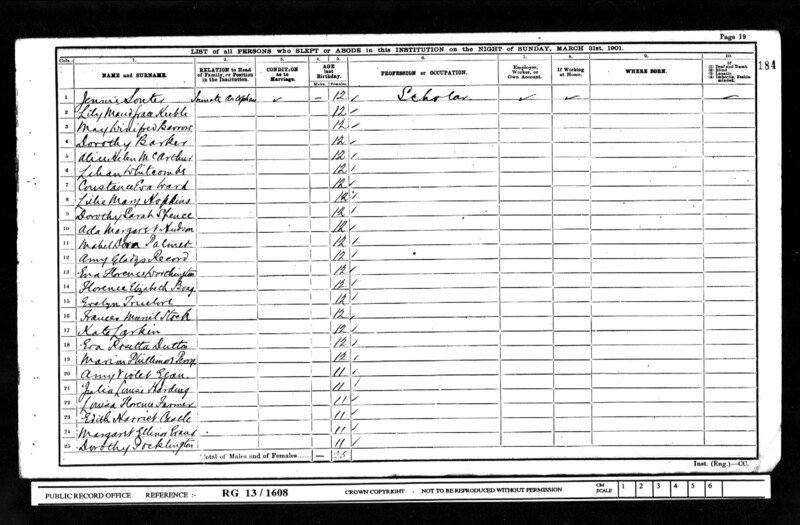 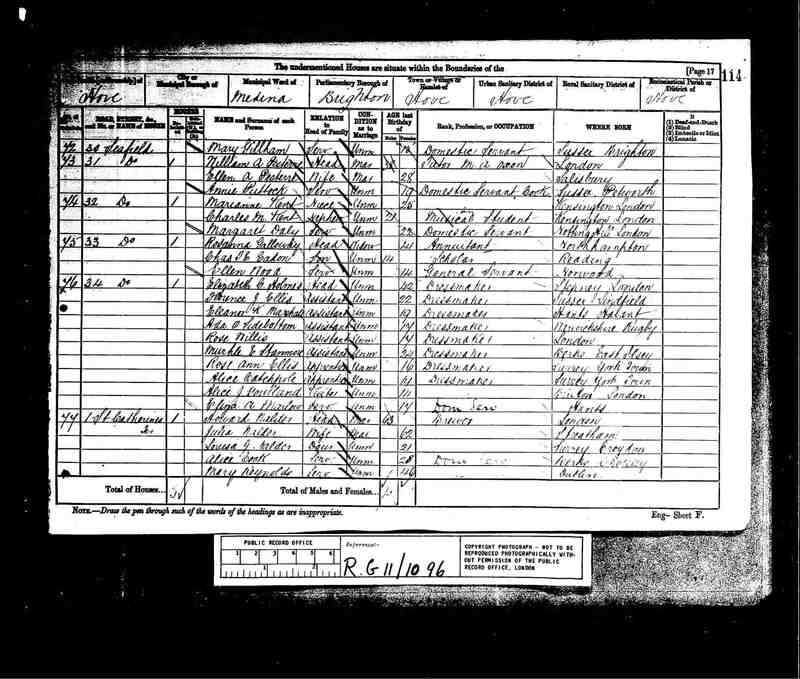 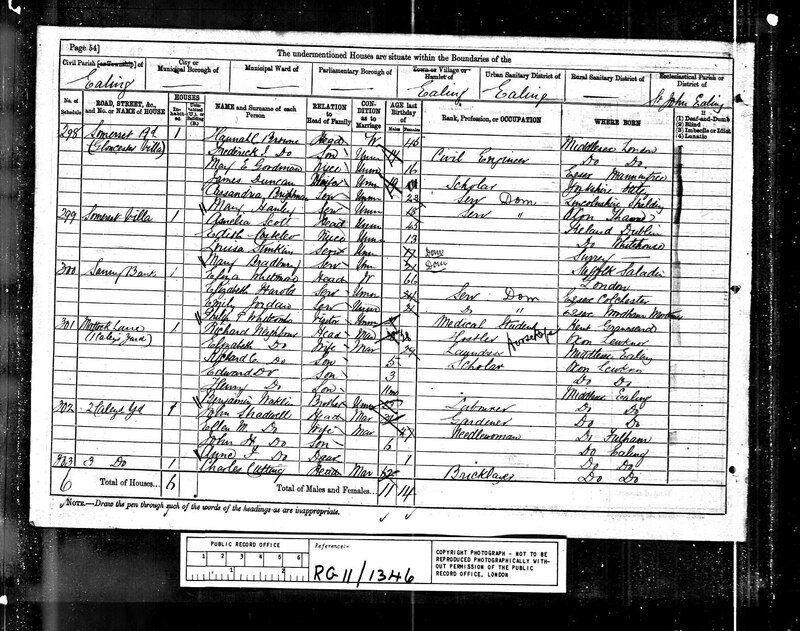 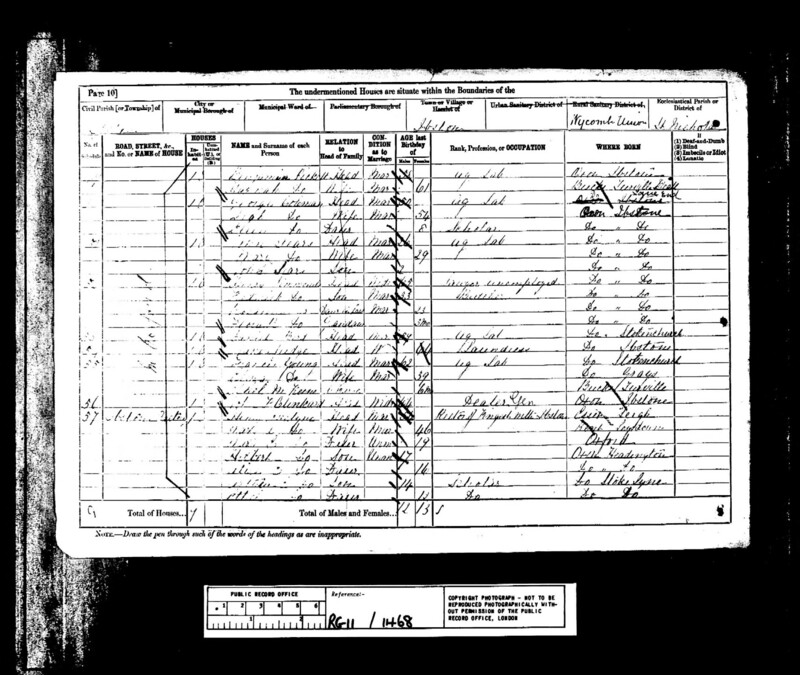 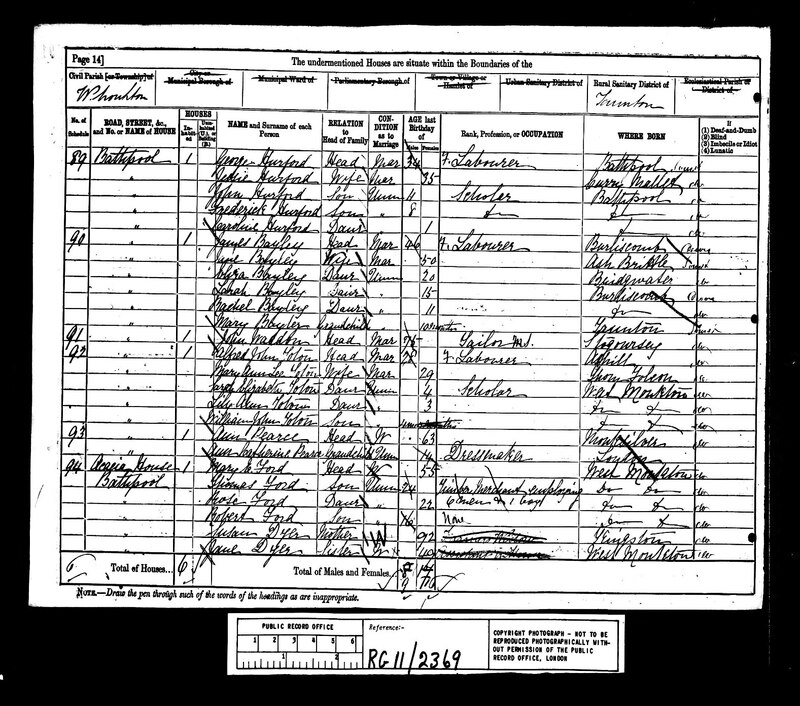 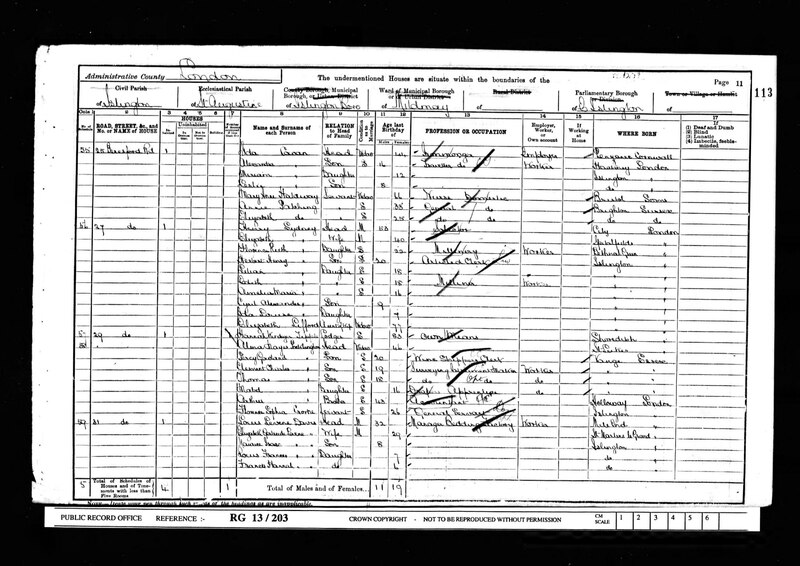 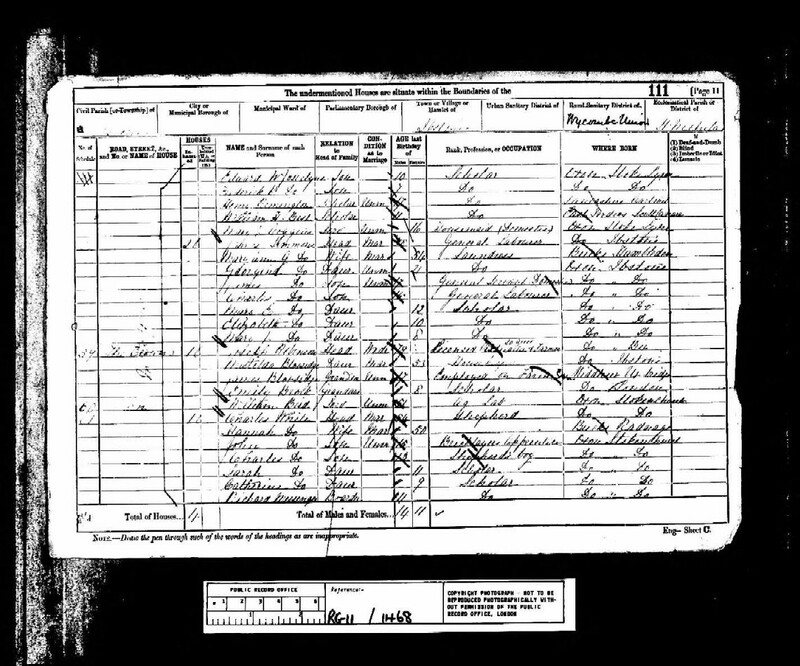 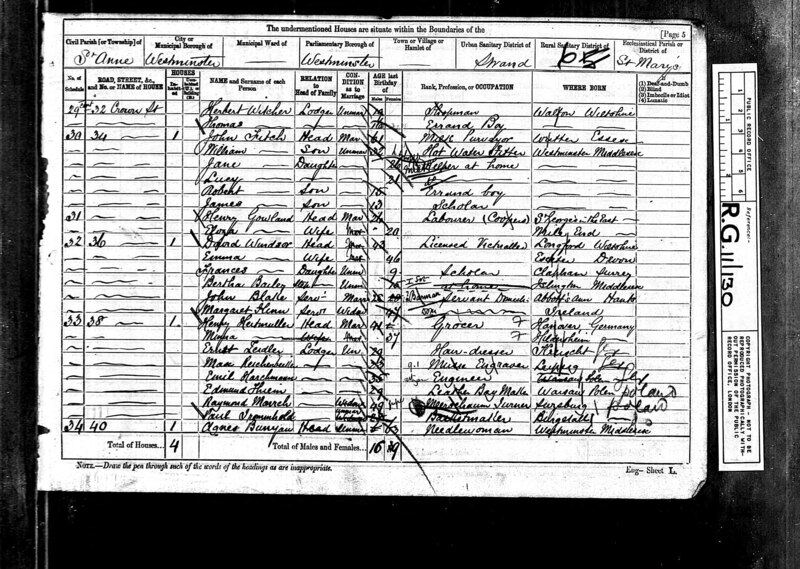 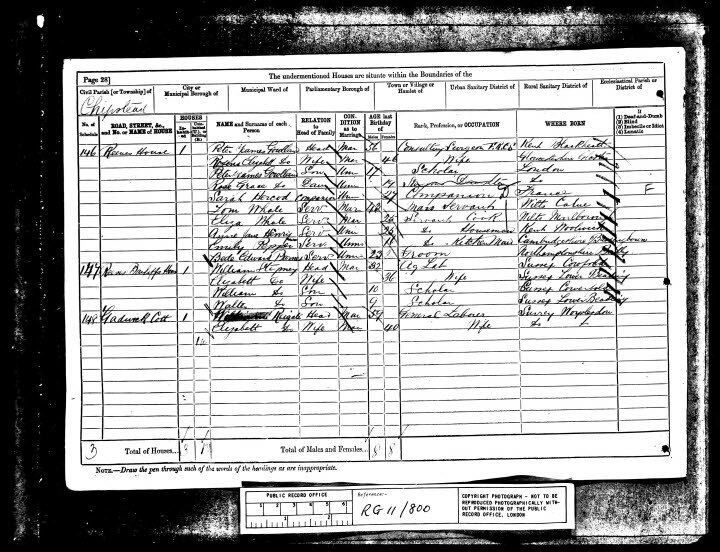 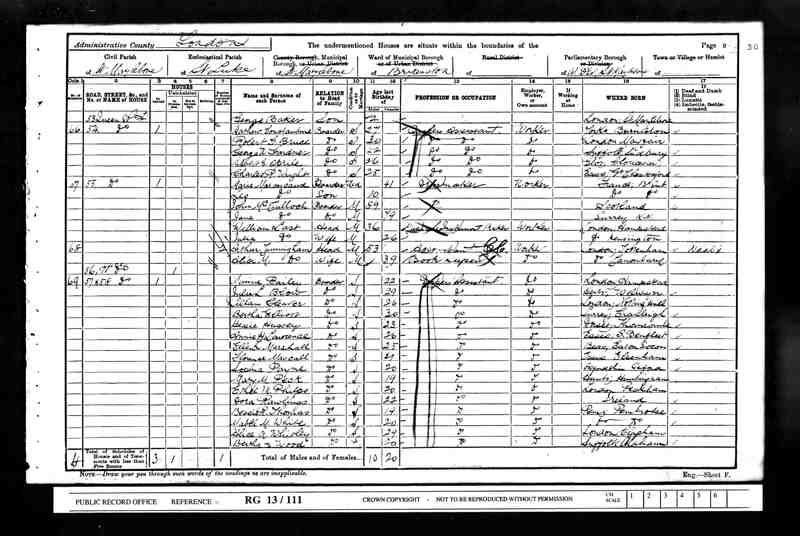 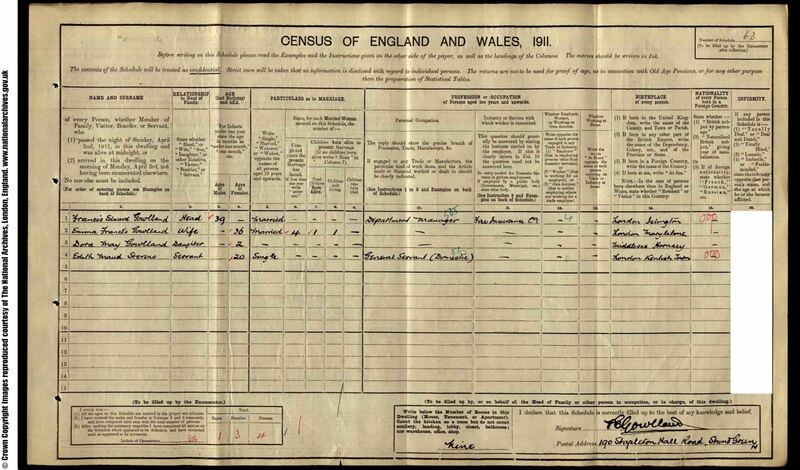 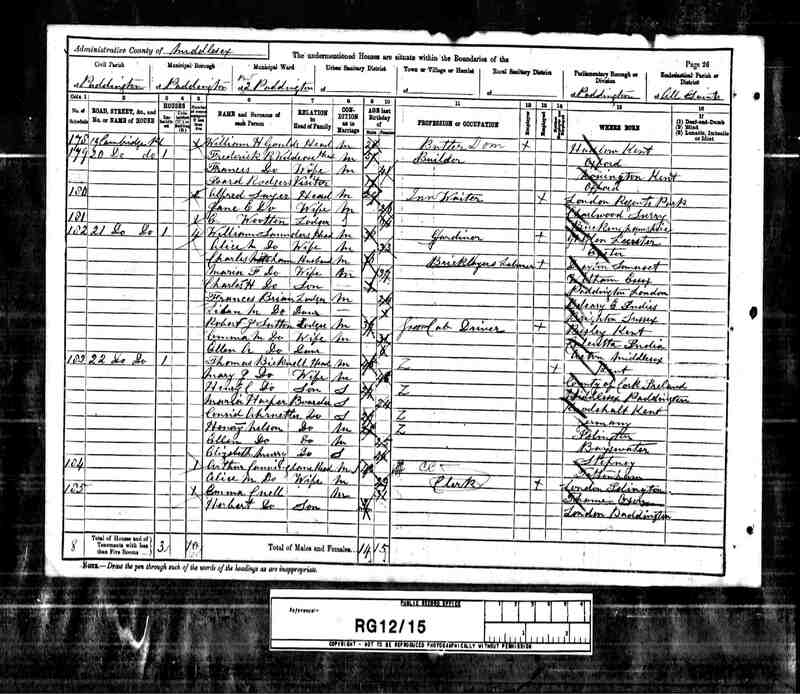 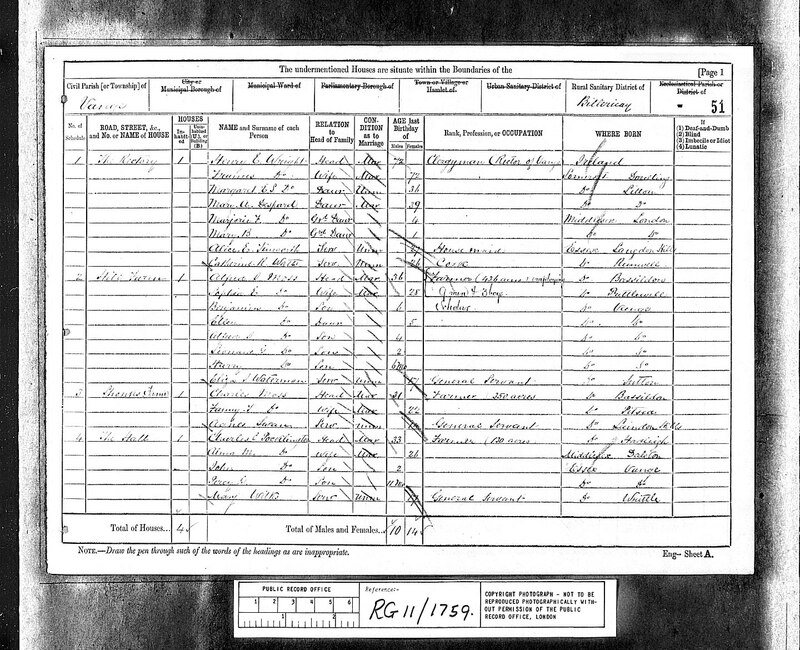 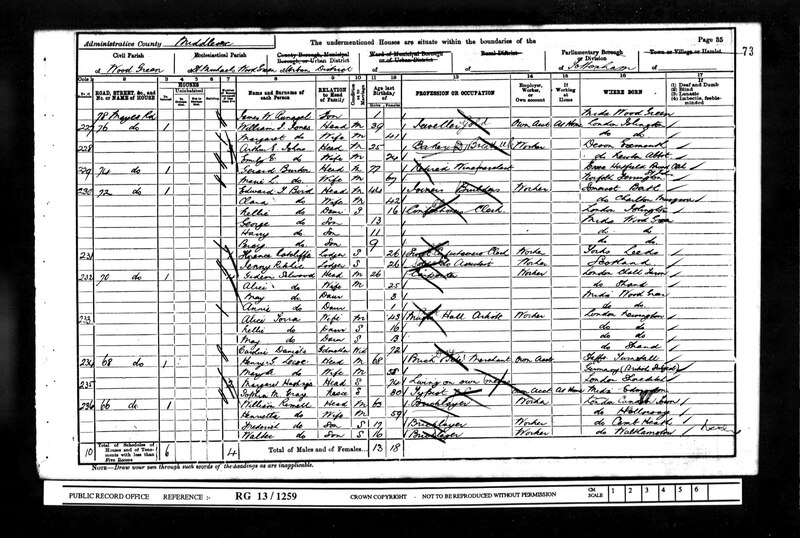 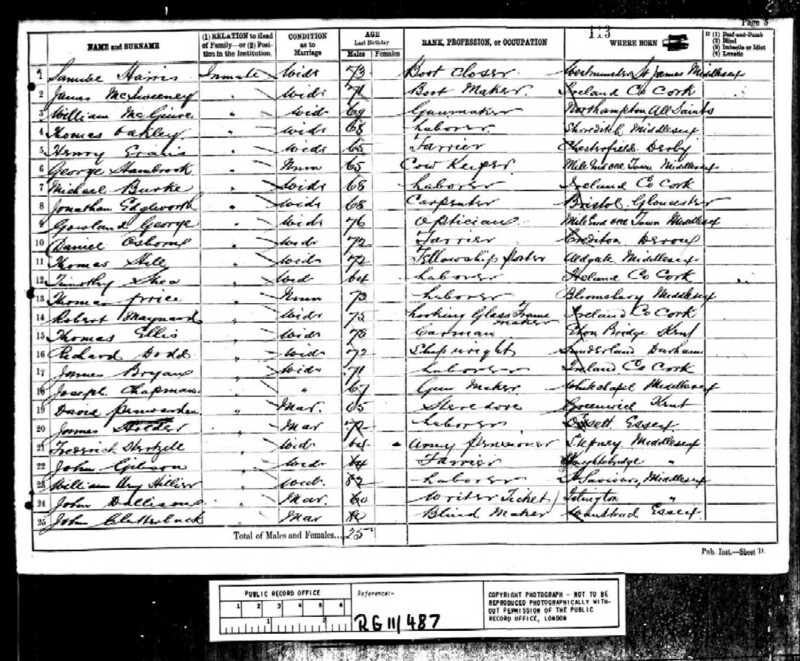 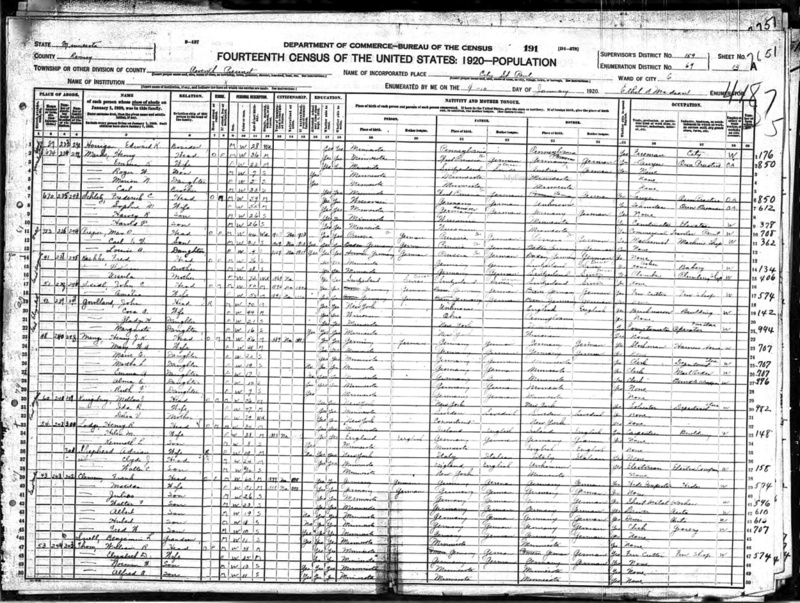 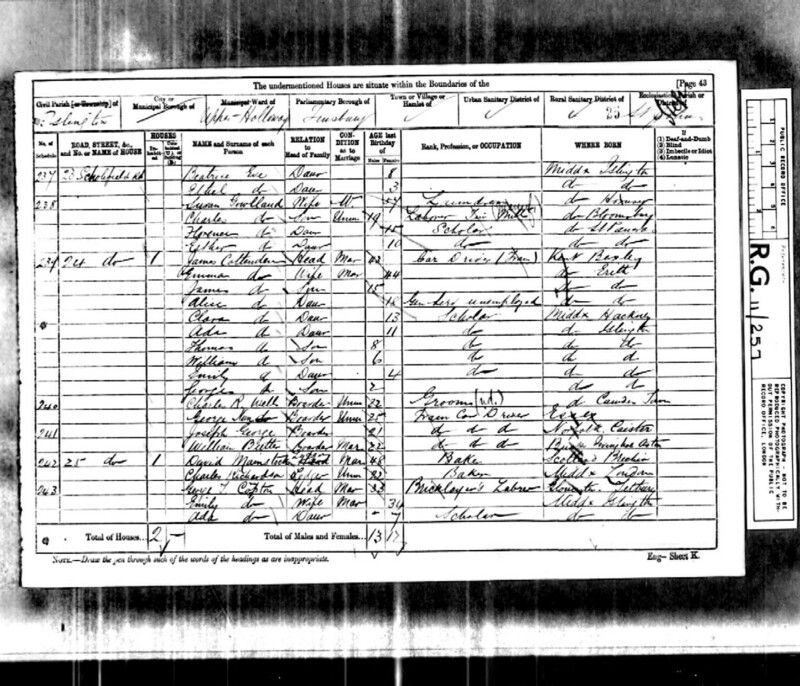 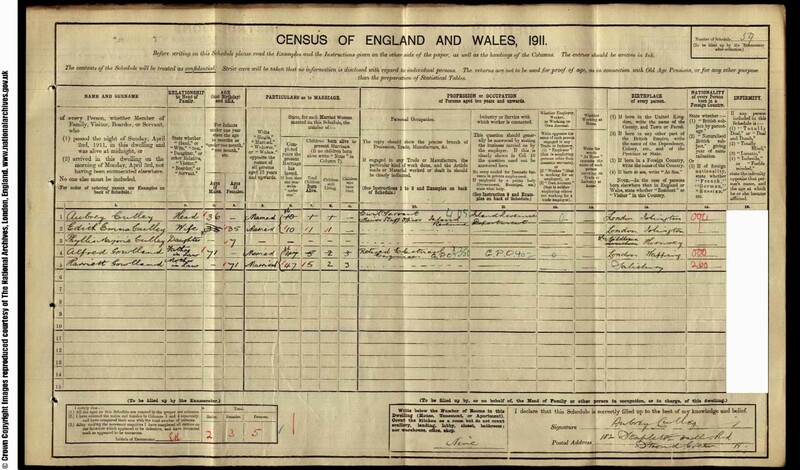 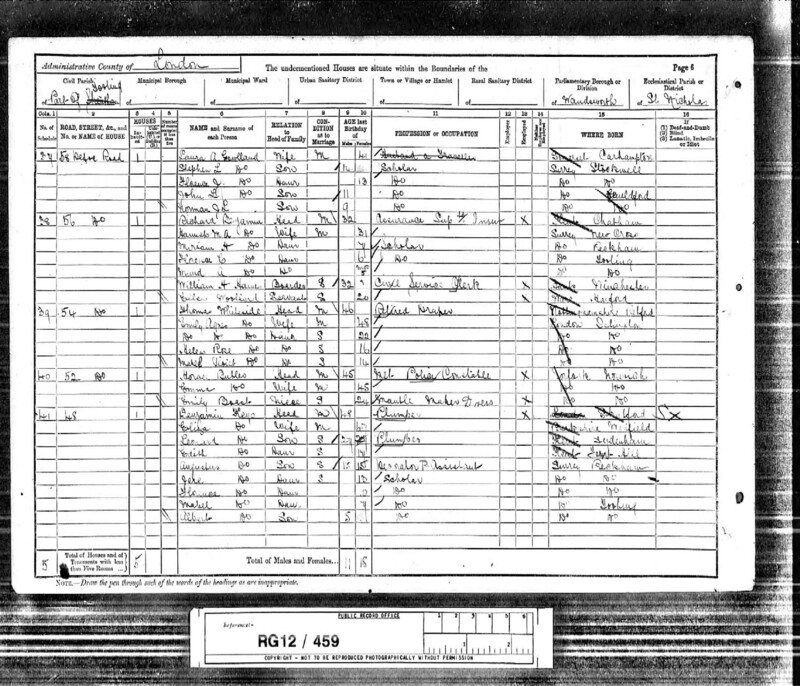 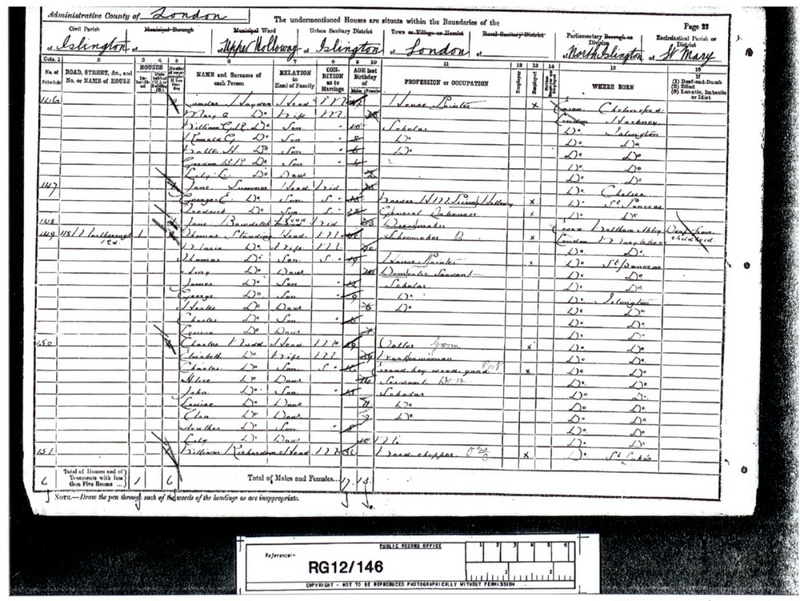 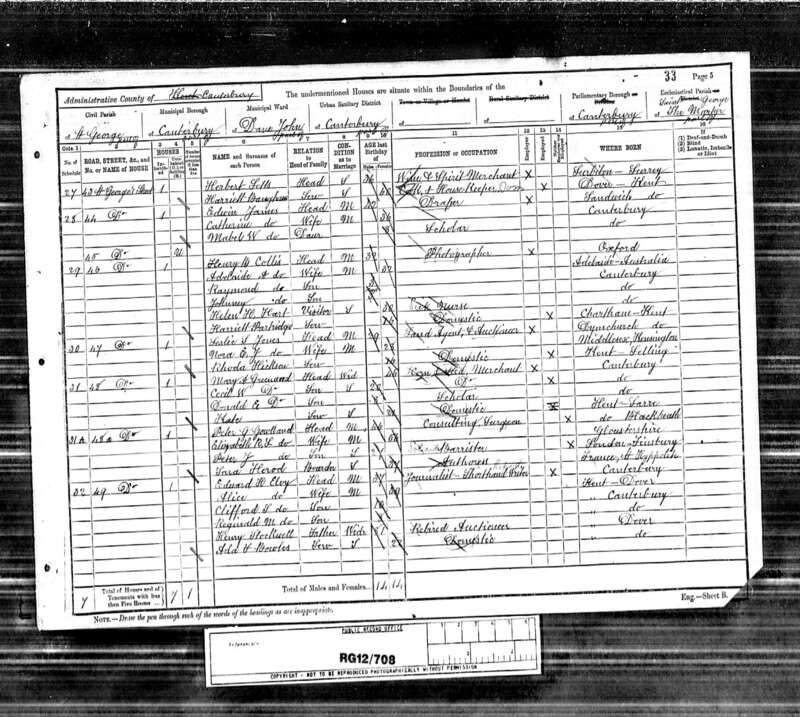 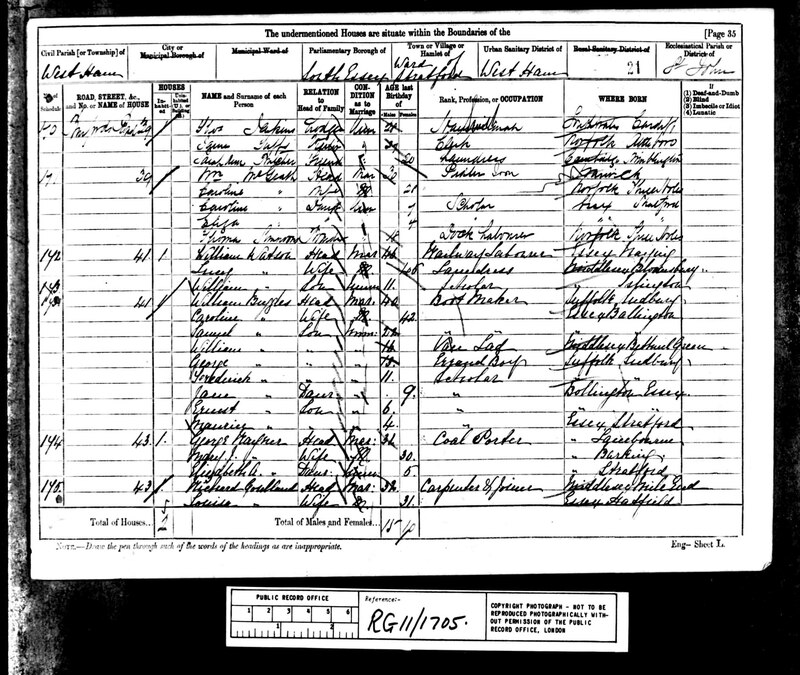 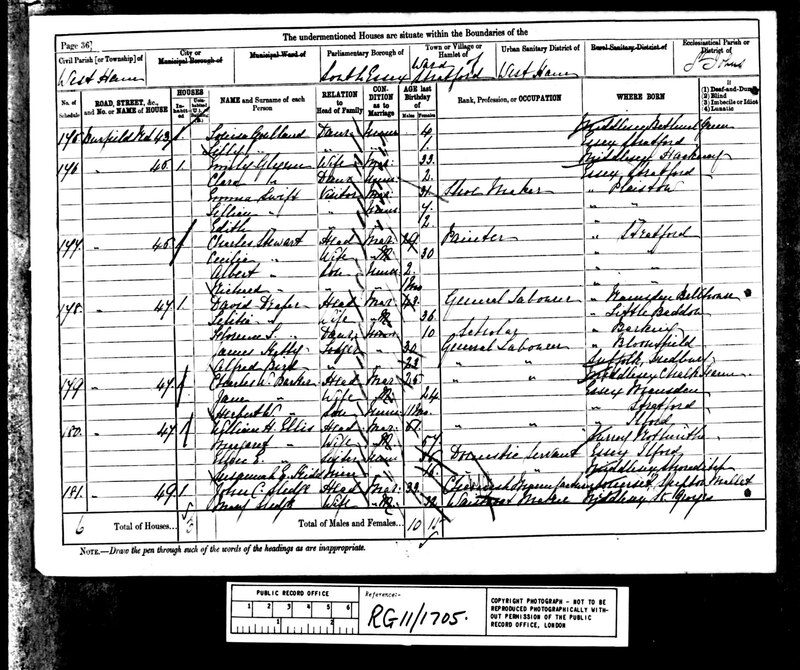 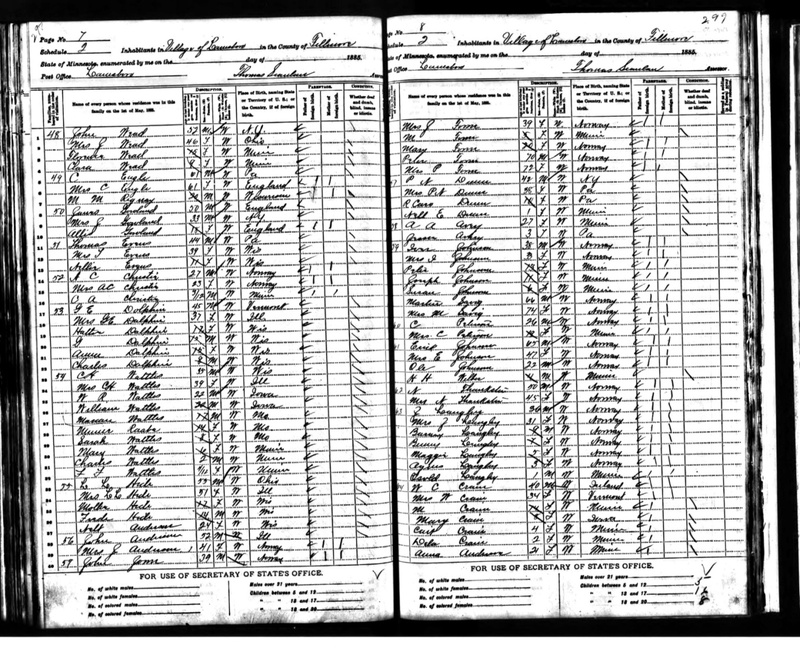 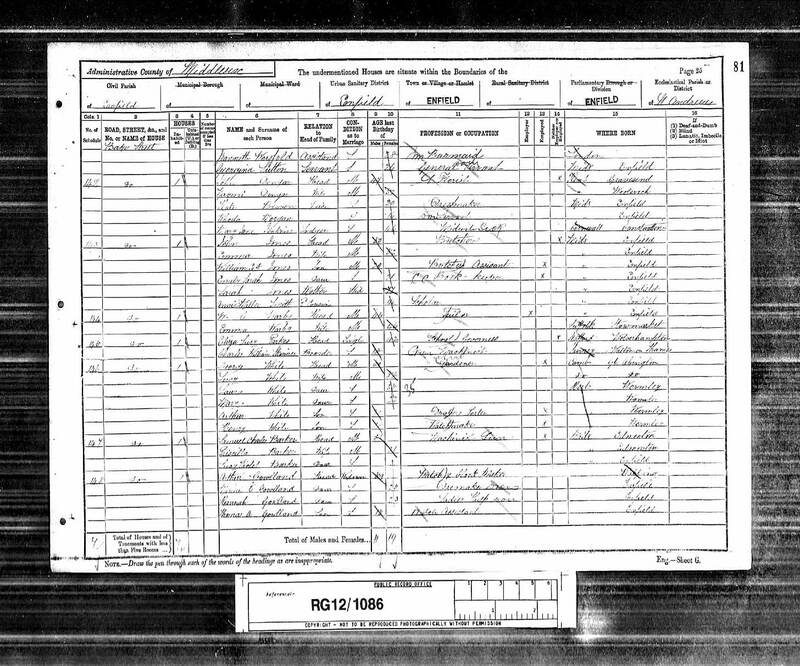 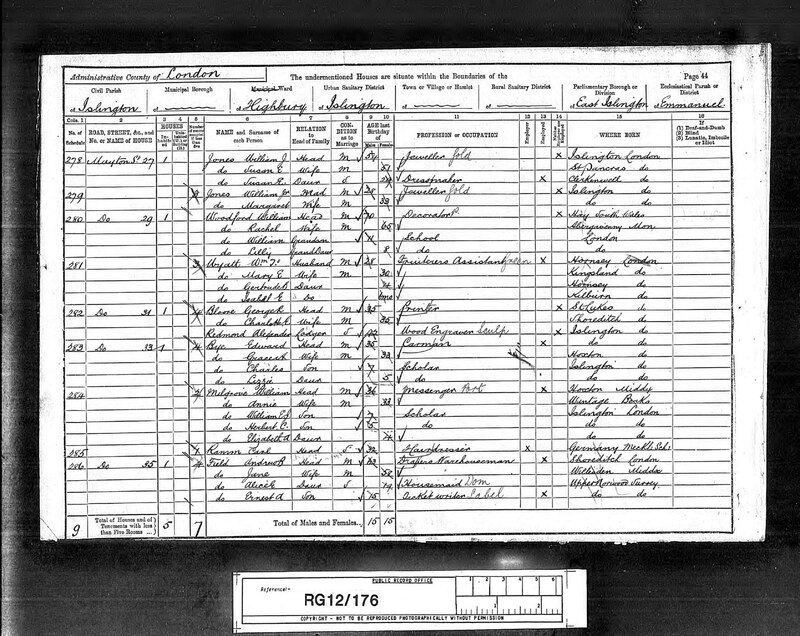 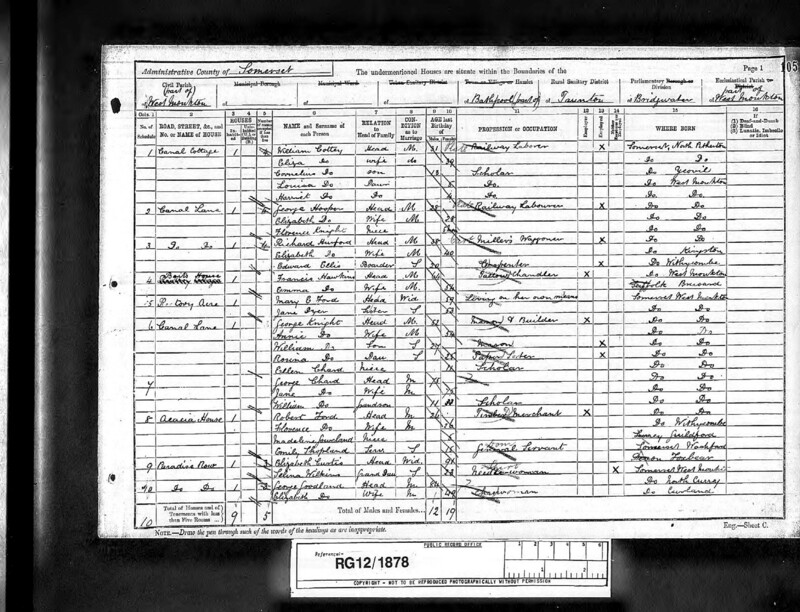 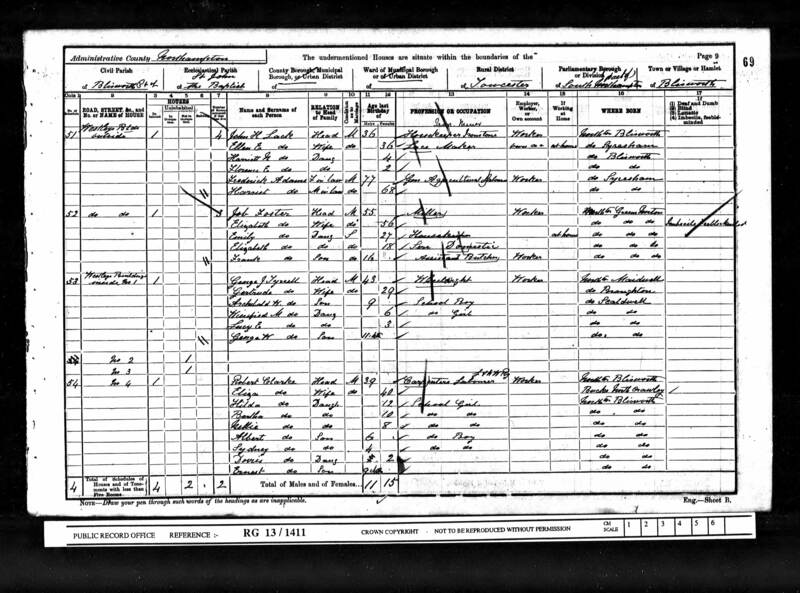 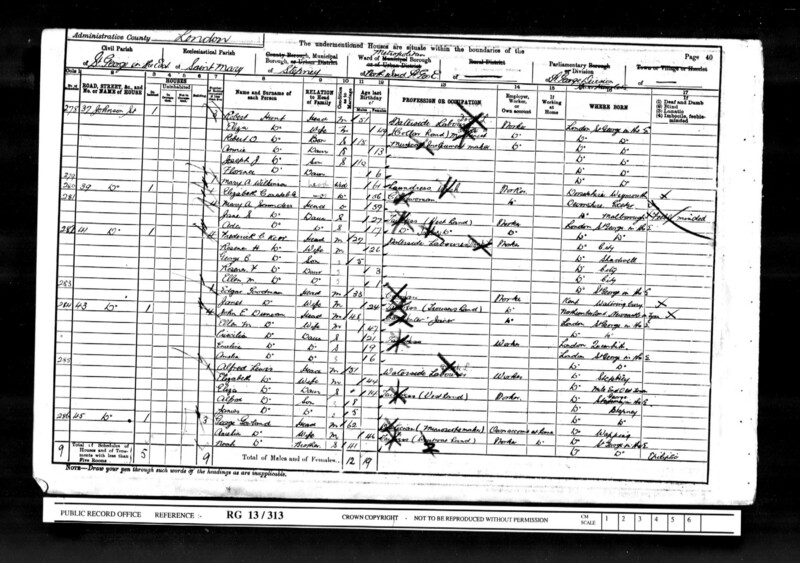 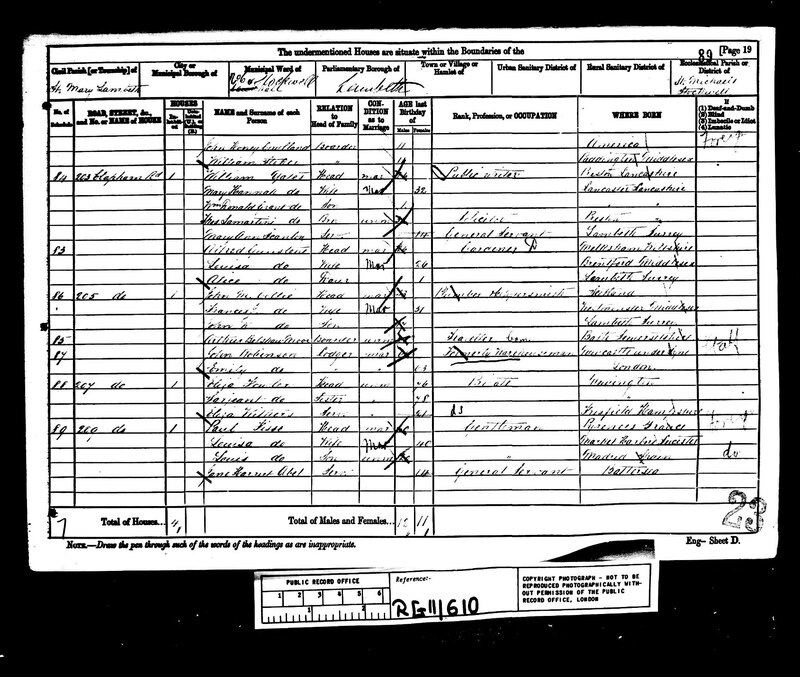 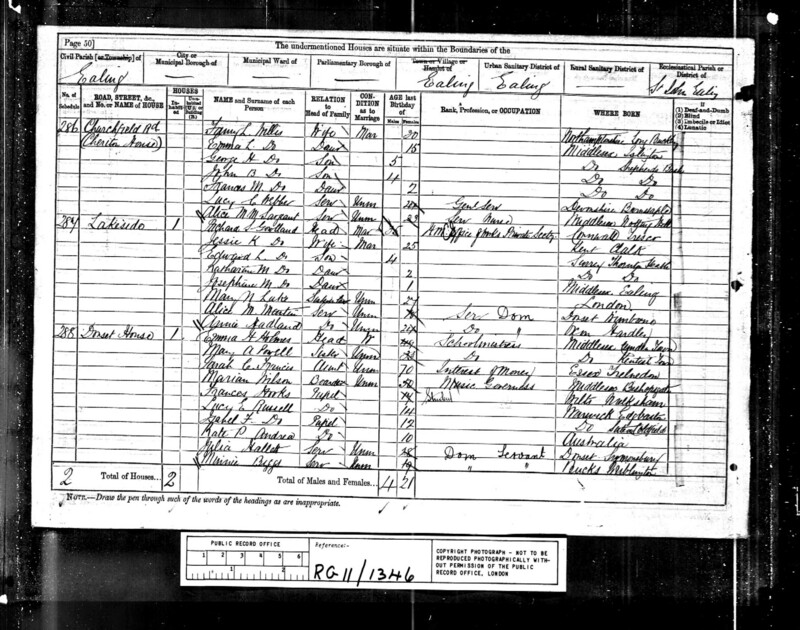 Most of these census pages have been published to the family website and these are identified by a RED number in the left hand column. 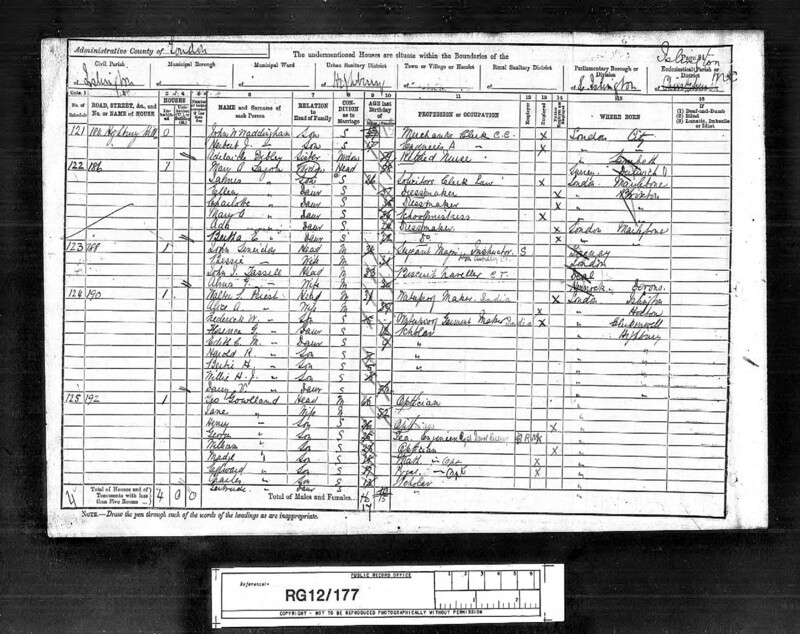 The original image may be found by clicking on this number. 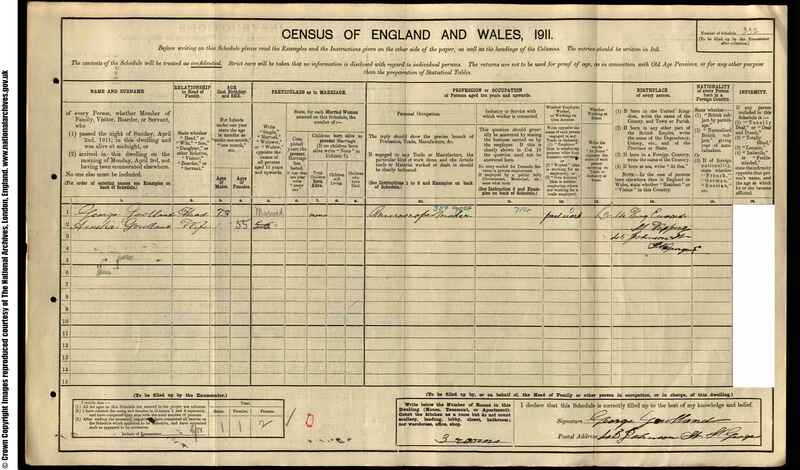 Where the number is in BLACK, the document has not been published; but a copy of it, in the form of a JPG or GIF file, can be emailed to you - simply request it from John Gowlland by clicking here, quoting the number in the left hand column. 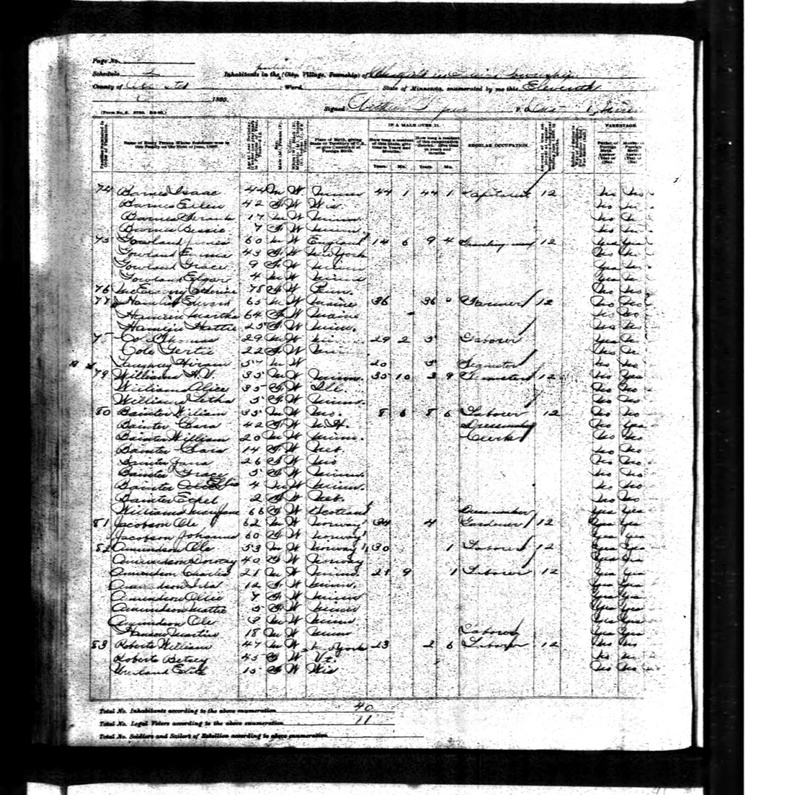 Note: For this page, for some reason, as yet unknown, Mozilla Firefox occasionally cannot handle the formatting, and it all goes awry. 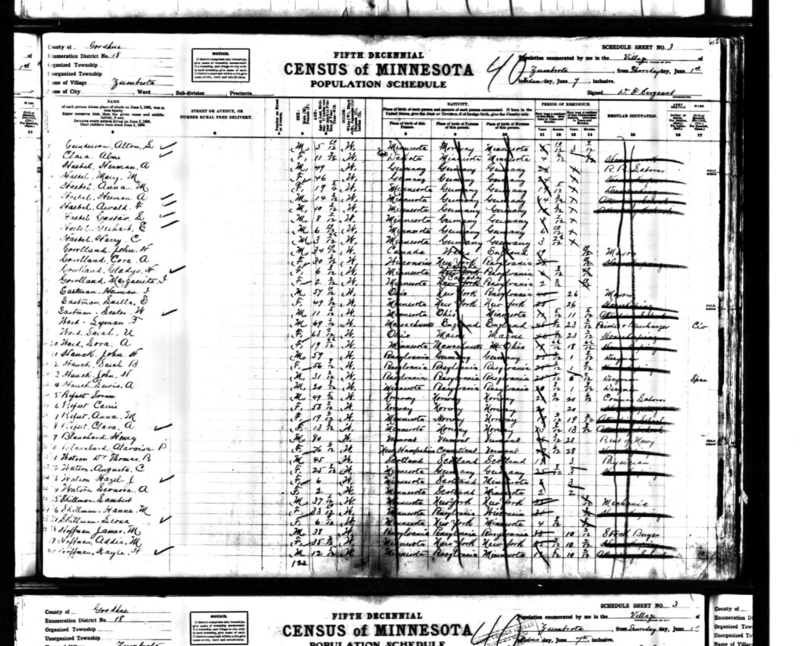 Should this occur, please use another browser, such as Internet Explorer or Deepnet. 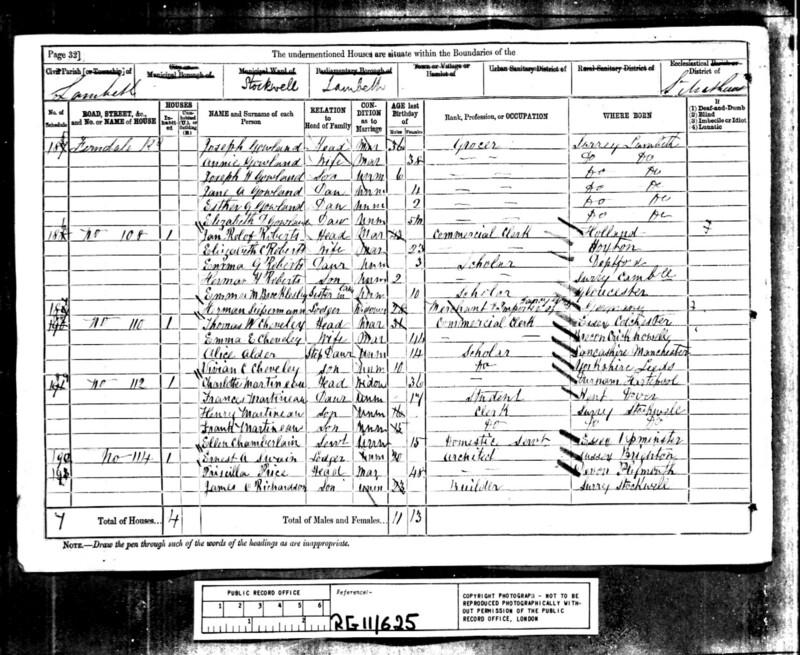 RG12_0873_023 Richard, Florence and Irene Gowlland 30 Emmanuel Road St Jude's Portsea Portsmouth Florence Gowlland (Daughter - S - 31 - Living on own means - b Islington London) / Richard Gowlland (Son - M - 35 - Insurance Agent - b Islington London) / Ellen Gowlland (Daughter - S - 27 - Living on own means - b Islington) / Irene Gowlland (Grand-daughter - 1 - b Southsea Hants) / two female servants, four lodgers of the Fullerton family, and two lodgers originating in Ireland. 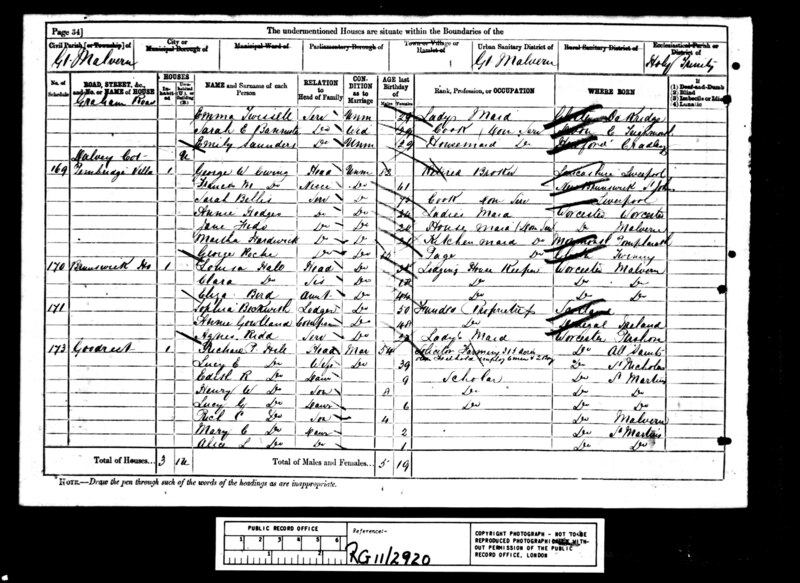 RG12_1086_081 Arthur clock maker Gowlland and family Baker Street Enfield Middx Arthur Gowlland (Head - Widower - 59 - Watch and Clock Maker - b Wapping) / Minnie (26 - U - Dressmaker - b Enfield) / Hannah (23 - U - Ladies' Help - b Epping) / Tom (18 - U - ?? 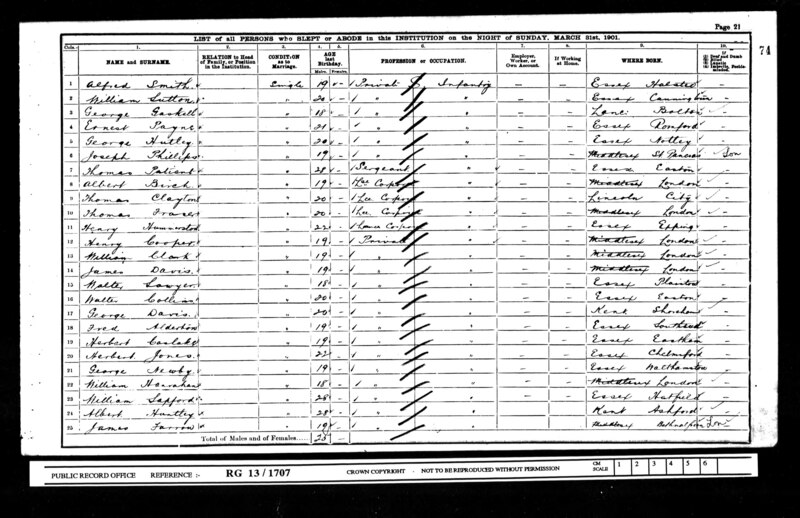 Assistant - b Enfield). 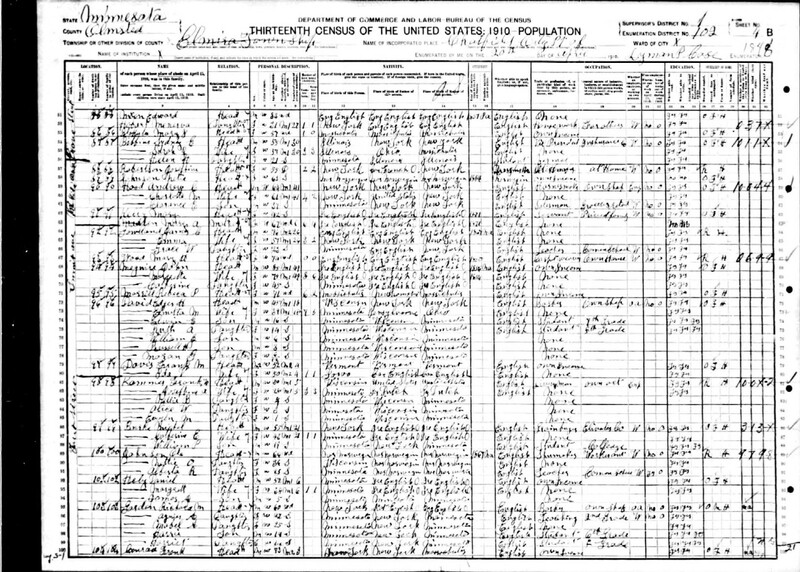 1910 U S A .